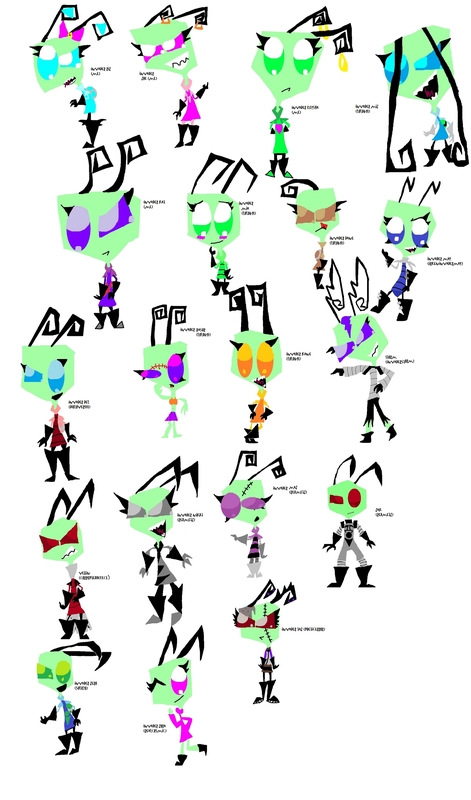 fan Characters ^.^. . HD Wallpaper and background images in the Invader Zim FanCharacters club tagged: invader zim. WOW! THIS IS SOO COOL! YAY THIS IS AWESOME!!! THANK YOU SO MUCH!!!!!!!!! <3 <3 <3! Wait....ahhh! half the irkens have no PAKs!!! We're all gonna die!!!! omg yay u guys like it ^.^ THANK YOU GUYS SO MCH FOR LETTING ME USE YOUR CHARACTERS!! oh btw, the reason they dont have paks, they do, u just cant see them at the angle theyre at.-that was to invaderstorm. Aww this is all cute. Kane(The one that InvaderStorm said another one was pointing at):"What did I do?!?" lol holy taco? XD thankks u guys! THANK U 4 DA COMPLIMENTS!! I..I WUV U!! @invaderzimrox: Great work! I like all the poses. kane-what? huh? who are you and what are you talking about??! Kane:"I DON'T EVEN KNOW KENNY!" riz-whats with all the commotion..? KENNY! THE ALMIGHTY KENNY! FROM SOUTHPARK OR SOMETHING! Taz: .... I Hate Pictures. Me: No One Asked You. thank you so much! i worked almost 3 to 4 days on it ^.^ THANKS EVERYONE, FOR EVERYTHING!!!!!!! XD I can't believe I just barely found this!! AMAZING!! @Zero: Holy taco!? XD I'm gonna use that. Kane:"I DON'T EVEN KNOW HIM!!!!!!!!!! 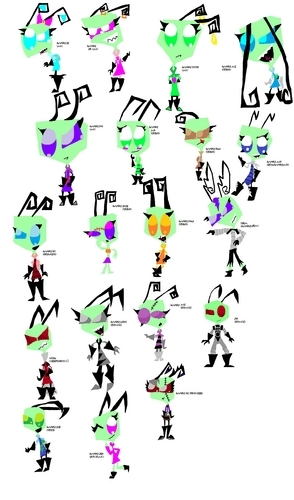 !1"
'/huh what do these names say!i can't read them!